A Technical Boilerhouse Risk Assessment is a major step towards ensuring the safe operation of boiler plant. Site surveys, assessment of all operational conditions, including equipment specifications, operator & manager qualifications. Accurate advice to ensure that your Technical Boilerhouse Risk Assessment complies with HSE guidance. Why do you need a Technical Boilerhouse Risk Assessment? Arrange a detailed site survey by one of our experts. Over 30 years of experience in steam boiler plant. 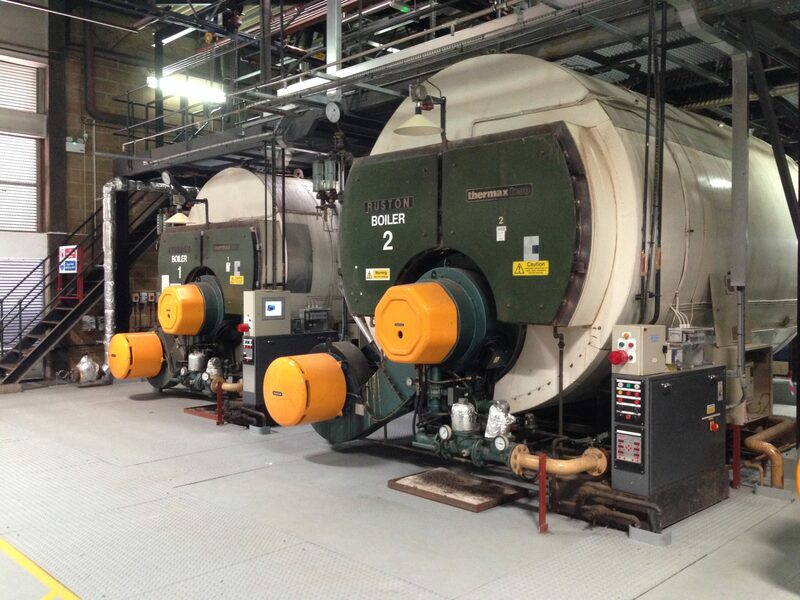 Steam Boiler Risk Assessment has many years’ experience in the design and implementation of steam boilers and can conduct your Technical Boilerhouse Risk Assessment to ensure that all relevant guidance and legislation are met. Steam Boiler Risk Assessment is a trading name of Eta Energy Systems Ltd, a specialised process design consultancy. 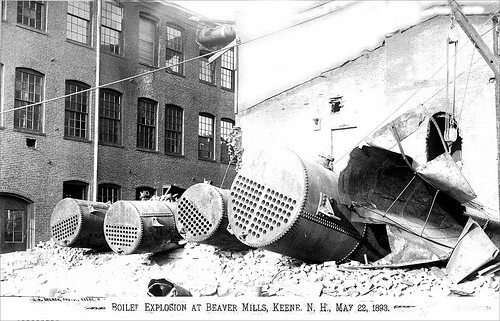 Since the dawn of steam, we have been successfully blowing up boiler plant with devastating consequences. 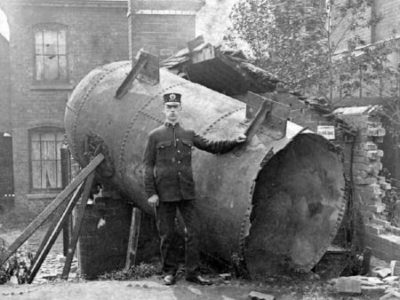 Fortunately, improvements in design, control and operation, combined with legislation underlining the fact that it’s no longer acceptable to use unsafe equipment and operational practices, have led to much-improved safety in steam boiler plant. HSE RIDDOR data (2014) suggests that there are around 100 pressure vessel failure events per annum in the UK, with at least one fatality and several serious injuries occurring. A Technical Boilerhouse Risk Assessment is a legal requirement and a major step towards ensuring the safe operation of your boiler. Ultimately, the “Controlling Mind” (or minds) of the business holds legal responsibility for the risk assessment and safe operation of the plant. 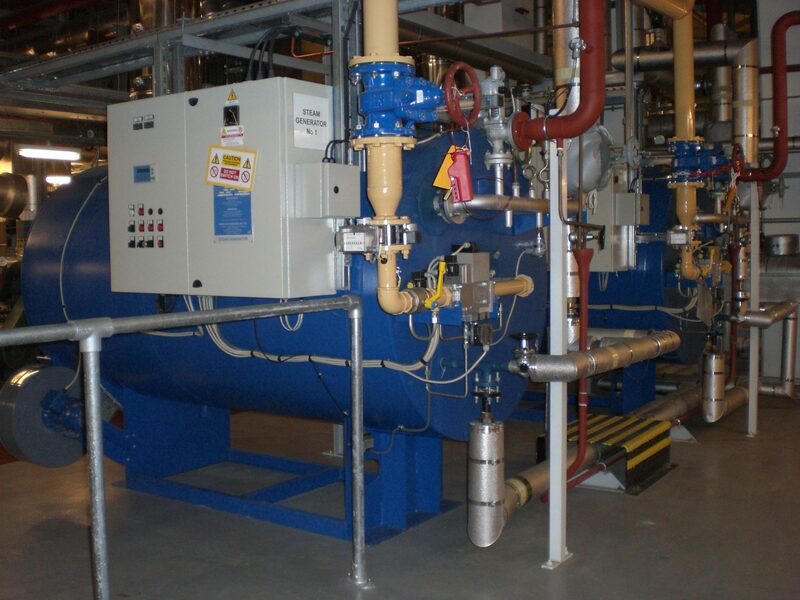 Steam system design & specification and efficiency improvements. Combined Heat/Power system design & specification. Acting as Principal Designer in Construction Design and Management (CDM2015). Energy saving advice & Energy Savings Opportunity Scheme (ESOS) compliance. Energy Savings Opportunity Scheme (ESOS) surveys including Lead Assessor role. Investment grade feasibility studies for energy projects. LTHW – HTHW boiler and system design and specification. We provide impartial and accurate advice to ensure that your Technical Boilerhouse Risk Assessment complies with HSE guidance. Eta Energy is accredited to perform ESOS assessments and is also an approved Low Carbon Energy Assessor. Website development: IceStar Media Ltd.